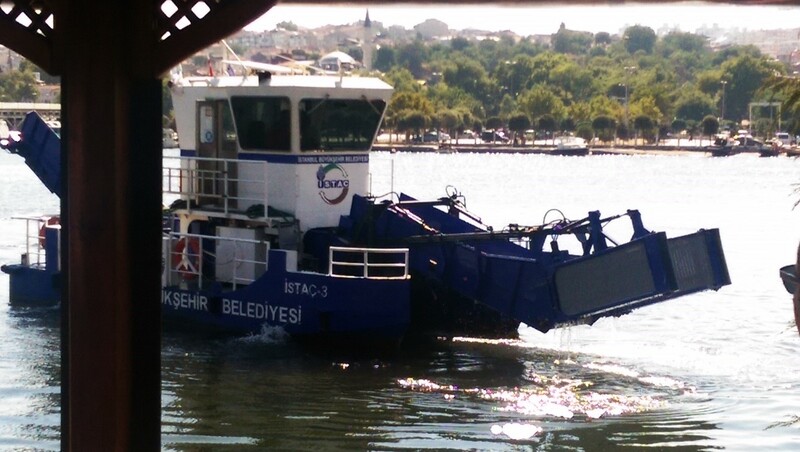 Suitable for port service and operation on lakes and rivers (sheltered and protected waters). 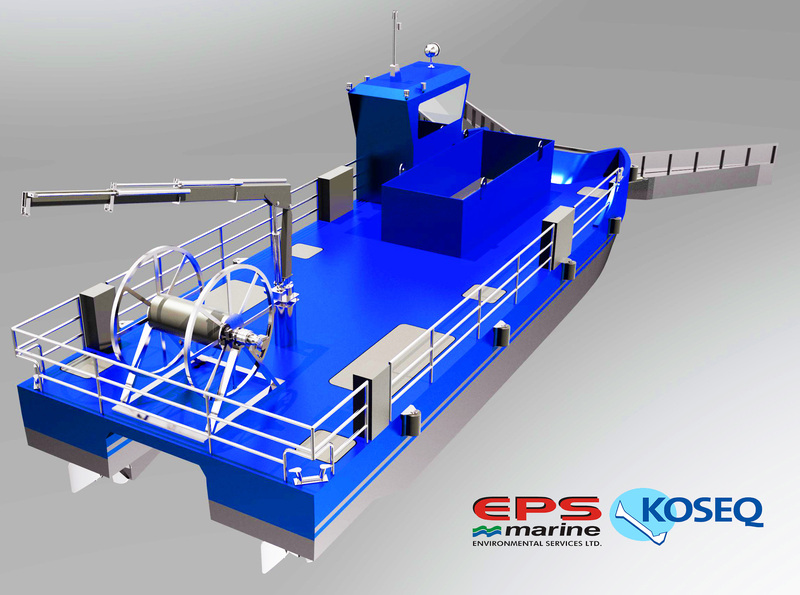 Multi purpose vessel with Oil Spill Response and Marine Debris Collection systems available. Easy, fast and safe to install/ remove oil and marine debris collection systems. Multi purpose operation increases up-time and thereby decreases total cost of ownership. Deployment from large open deck space. The Vessel’s base is a stable Aluminium Catamaran type boat that has a large free deck area for safe operations, prepared for multi-functional operations. Despite its length of around 12 m it is still possible to transport the vessel over land by truck. 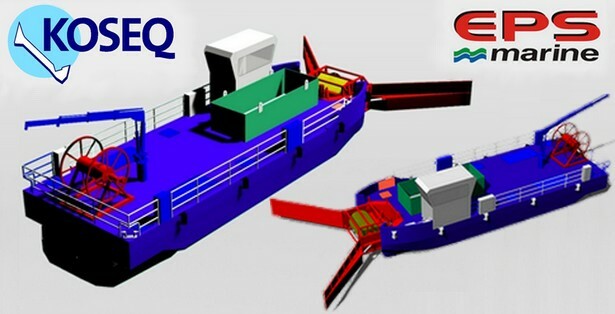 The vessel has prepared connections and foundations for a powerful Hydraulic Knuckle boom-crane, Hydraulic operated boom-reel, cassette sweeping arms with high capacity skimmer, dispersant system, build-in oil storage tanks and high-efficiency Garbage collection system with interchangeable storage containers. 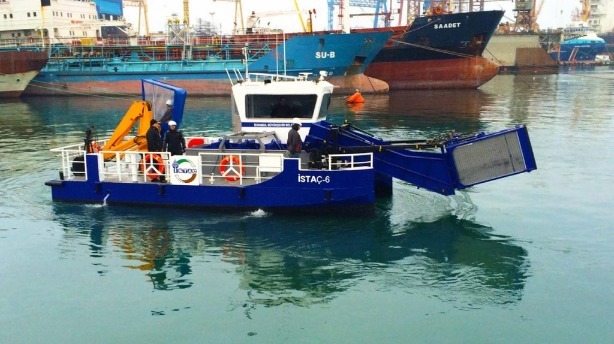 The combination of an economic twin fixed-pitch propeller and the vessels hull-shape makes it possible to reach a speed of 12 knots for rapid intervention duty. For a high level operational availability on-site the vessel Can be supported by inflatable storage tanks that can be towed to shore for disposal whilst recovery operations continue. Hull Construction: Marine Grade Aluminum 5083 H 321. Draft (Loaded): 0,80 m (max). Engine: 2 x 200 Hp. Marine Diesel. Hydraulic Power Pack: 1 x 42 Hp. Diesel Engine for all Hydraulic Systems. Propulsion: 2 x Fixed Pitch Propeller. Speed (free sailing): 12 knots. Diesel Fuel Tank: 1500 ltr. Crane: SWL 5 AT 1 m Knuckle Boom Crane. Oil Skimming system: Vikoma Disk Skimmer Model Ranger. 20 meter Sections. Deployment by one man. Recovered Oil Tank Capacity: 3 x 5,5 m3 Internal Storage, 1 x 25 m3 floating storage. Dispersant System: 2 x 6 meter aluminium arms. Debris Storage Capacity (optional): 3 m3 – Fully Dismountable. Water Intake. Powered by above mentioned Power Pack. Capacity 60 m3/hr.